Once your statements are created, you can view and edit those statements from within Statement Management. To edit a statement, simply double-click the statement you wish to print. The following screen will appear. The upper portion of the screen will be available regardless of which tab you have selected. This section of the screen will tell you the statement number, who the guarantor is, the remainder balance, and the date the statement was created. On the general tab, you will see general information regarding this statement. Status: The Status field tells you where in the billing process this statement is. When a statement is first created, it has a status of Ready to Send. When a statement is first billed the status is changed to Sent. Once the balance of all transactions on the statement reaches 0, the status is changed to Done. The other status fields are used for your own purposes. If you wish to use these other codes, you must manually set the statements to these status codes. Billing Method: The Billing Method field lets you specify whether you want to print out a paper statement or whether you want to send the statement electronically. Type: The Type field specifies whether the statement is a standard or remainder statement. As you can see, this field is not one you can modify. If you need to change this for any reason, you MUST delete the statement and recreate it. Tips and Tricks:If you create standard statements and wish to change them to remainder statements, you will not be able to create statements for all of the patients originally listed in statement management. This is because standard statements look for any charge with a balance, while remainder statements only look for charges making up the patient’s remainder balance. Initial Billing Date: This field specifies the first date the transactions attached to this statement were actually billed on a statement. Batch: The batch number is updated the first time a statement is printed or sent. All statements billed at the same time will be assigned the same batch number. Billing Date: The Billing Date field will tell you the last time these transactions were billed to the guarantor. There are two methods for actually printing your patient statements. The first method we will discuss is Statement Management. Statement Management handles statements in a similar manner to the way Claim Management handles claims. allows you to integrate your statements into your collections module (Collection List). Additionally you will be able to utilize the cycle billing feature. This section will examine the different processes you will use within Statement Management to effectively bill your patients. To open Statement Management click the Activities menu and Statement Management. Statement management is ONLY available in Medisoft Advanced and Medisoft Network Professional. Click the Create Statements button. The following window will appear. Here you will be have the ability to filter which transactions are created on statements. Leaving these filters blank will look for any ELIGIBLE transactions that have not been placed on a previous statement, and place them on a new statement. Statements. If you select Standard, you will create statements for all eligible transactions regardless of the party that is currently responsible for the remaining balance. If you select Remainder, you will create statements for all eligible transactions with balances that are currently part of the Patient Remainder Balance. When creating statements, each transaction can only be placed on one statement. If you create a standard statement, you will not be able to create a remainder statement for the same transaction unless you delete the original standard statement. We suggest that you select one type of statement and ALWAYS create statements using that type. Once you have made your selections, click Create. If the following screen appears, no eligible transactions were found within the parameters set. 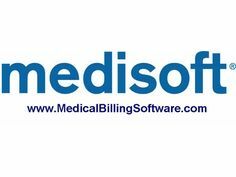 Medisoft Patient Accounting prints one statement per guarantor. A guarantor is the person listed as financially responsible for charges on a patient account. The guarantor is set on a case by case basis on the Personal tab of the case screen. If a guarantor has multiple patients with balances eligible to print on a statement, all of those patients and charges will appear on one statement sent to the Guarantor. The Payor Type field will default to Insurance. Change it to Patient. You will see the window display change. When selecting the Payment Method, you will have the option to select Check, Cash, Credit Card, or Electronic. Make your selection according to the method the patient used when making the payment. The fields labeled Payment Code, Adjustment Code, Withhold Code, Deductible Code, and Takeback Code. These codes represent the 5 types of transactions that can be entered into a patient’s ledger through the deposit list. These codes MUST be entered prior to applying the payment. You can set up default codes to be used for payments from each insurance carrier. This is done on the Options and Codes tab of the insurance carrier setup screen. Click Save. At this point you have updated the mwdep.adt table, but have not yet updated the mwtrn.adt or mwpax.adt tables. You will now see the payment listed on the main page of the deposit list. Highlight it and click Apply. If you see EOB Only in the amount column, that indicates that there was not an actual payment made, and that the EOB indicates the reason payment was not made. You will see the following screen. In the For field enter the chart number for the first patient listed on your EOB. Any charges that have not yet been paid by that insurance carrier will be displayed. If there are charges on the patient ledger that do not appear on this screen, you may want to try unchecking the field labeled Show Unpaid Only. The first step is to locate the charges that were paid and to which you need to apply the payment. The EOB should list the date of service, the procedure code, and the amount billed. These fields are available to you on the left side of the window. You will need to find the charges using these fields. Additionally, you will see the balance remaining on each charge in the column labeled Remainder. During the recent blog posts discussing the Transaction Entry interface, we discussed the process used for entering payments and adjustments through the Transaction Entry screen. This process must be followed for entering insurance EOBs as well. It is important to note that when entering payments through transaction entry, you will only have access to one patient and case at a time. This means that you will need to break out the EOB into multiple payments in order to apply it to each patient. Additionally, you will need to manually create each type of necessary adjustment. If you are using Medisoft Original, you have no choice but to enter your payments through Transaction Entry. Medisoft has the ability to change the current responsibility for a charge through the Quick Ledger. When doing this, you can only use the Quick Ledger to move the responsibility to a subsequent party. An example of this would be to move the responsibility from the primary insurance carrier to the guarantor. When using this feature, the program will automatically enter a payment with a 0 amount and mark it complete. This will effectively move the balance to the designated party. This is done by simply right-clicking on a charge, clicking Responsibility, and then selecting the party you want to make responsible for a charge. Insurance carriers will not be listed as the responsible party until a claim has been billed to them. Until the primary carrier has been billed, the responsibility will be listed as Patient Responsible. If you want to undo this process, you will not be able to simply right-click and change it back. The only way to undo this process is to open Transaction Entry to the screen including the payment that was created. You should then highlight the payment and click Apply. You will then have the opportunity to remove the Complete checkmark. This will take the responsibility back for that payor. If you have multiple 0 payments that were created, you will need to repeat this process for each carrier’s payment. If you wish, you can then delete the 0 payments. It is IMPERATIVE that you uncheck the Complete box PRIOR to deleting the payment.